Nintendo has shared details on some upcoming Black Friday deals for Nintendo Switch and Nintendo 2DS in the US. As you'd expect, these offers save buyers a nice chunk of cash, and we've even been treated to a brand new video starring Luigi to take a closer look. First up is a Nintendo Switch system with Mario Kart 8 Deluxe included as a full game download for $299. This is the suggested retail price for a Switch on its own in usual circumstances, so you're essentially getting your $60 copy of Mario Kart for free. Not bad! A set of two white Joy-Con Wheel accessories is also set to be on offer for a suggested retail price of $14.99. 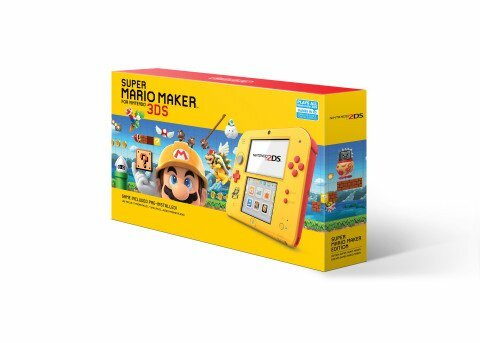 Elsewhere, a second bundle sees a yellow and red Nintendo 2DS system with Super Mario Maker for Nintendo 3DS pre-installed available for just $79.99. The game itself launched at $40, so you don't need us to tell you how amazing an offer this is, especially when you consider how many 3DS games you can snag at lower prices these days to fill your collection. Are you thinking of picking up a new system? Let us know below. That´s a trashy advertisement. They should use a more livelier constume. Luigi is looking like a creepy walking dead. I guess, small kids would poop their pants. @EasyDaRon Maybe they couldn't get John Leguizamo to do the commercial. Why not a new 2ds or 3ds for that price instead? Saw this two weeks ago when Target emailed me the advertisement link, here's the forum thread I started then for Black November sales. That's still one of the best deals for a Switch, full MSRP w/ an 18 month old game, that was a port of a few years old game, but still the best deal. And that has got to be the ugliest old model 2DS I've ever seen, at the normal $79 price, w/ the gimped SMM port from Wii U. It's almost worth buying for it's audacity. I think Nintendo could go further than that. 300$ for a Switch even with a game, it's not really appealing. Sony do an offer with a PS4 1Tb/To + Spiderman at 199$. That switch is a good deal for year two. If I didn’t already have one that is what I would be after. Already told friends about it. @Cobalt yeah but the switch hasn't been on shelves for nearly 5 years. When that comes to be you really have to start cutting prices to get people interested. I'm sure next year we will see better deals. You know, a preloaded game on the 2DS doesn't cost Nintendo anything. Isn't the 2DS normally $80? @NewAdvent I imagine that anyone who wants this game already bought it. At this point it's bundled in to keep the price higher. I wish it was the clamshell 2DS. Mario Kart 8 has the broadest reach for all demographics... especially for people who don't already own a Switch... and especially for kids who are reaching an age for their first "real console". It makes perfect sense as the holiday bundle... it would be nice if they added at least a month or more of free online. @Gentlegamer My original plan was to wait for the inevitable New Super Switch XL mini (or whatever it ends up being) Then from there, decide between the newer version or a discounted original model. Then all my friends chipped in and I got one as a birthday present anyway. It's definitely the smarter choice, and more financially wise, to hold off until the future of the console is more certain. The major downside is that multiplayer games with online support will be ending service by that time. Game's like Splatoon 2 and Arms will still be playable of course, but you miss out on community activities like Splatfest and Party Crash. In games like Doom, I used to be able to jump in an online game fairly easily, but now the lobby is like a ghost town. Basically, my point is that there's merits to jumping in to Switch ownership asap, and holding off for a better deal, and it's about a 50/50 split. Kudos to holding off, but you won't feel bad if you end up giving in. Both are great deals in my opinion. I'm not comparing them to the PS4 deals or Xbox deals (those are great too!). Simple....you buy a 2DS or Switch and you get an awesome game for free! I have no need for this, but to everyone in the market to buy these, AWESOME! Not all that great really. 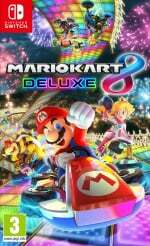 I guess we will see Mario Kart sales go up, seeing how they count those as unit sales. 80$ for 2DSXL is a quite steep discount...that is 70$ off. N3DSXL would be 120$. Anyways solid deals. It was pretty unrealistic to expect an official price drop for Switch even just for Black Friday. 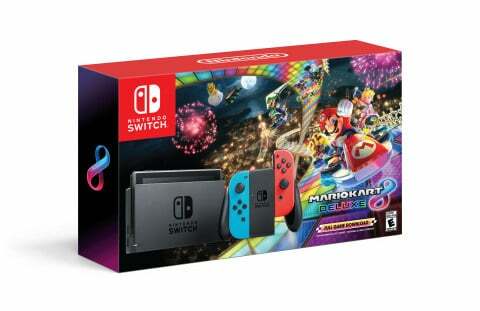 I'd normally get the MK8D Switch bundle since I've been waiting for such a deal; however, I'll be waiting until we have news of the rumored Switch SKU change before grabbing one at this point. I'd love to see a deal for a N3DS XL, but I have a funny feeling that Amazon's SNES 3DS XL for $150 (with Super Mario Kart) might be the best I can find this holiday season. @Desrever After the Miiversocost, I completely disregard any active or passive online functionality in games on Nintendo platforms. @Pikachupwnage That said I think if Nintendo wants to keep the 3DS family going in 2019 and beyond...a price drop of 2DS to 59.99$ or even 49.99$ would be a good move in early-mid 2019. Plenty of good candidates for Selects releases. And yes I know Bravely is a third party game...but Nintendo published it in the west and third party games have been Selects before. I wonder if Ubisoft will do a sale. I'd still like to grab Starlink Deluxe Digital Edition. Not gonna lie, I hate black Friday and wish it was pushed back a little. It really detracts from the whole, "spend a day being thankful for what you have" and then, "just go out and buy a bunch of garbage." @Giygas_95 Probably will have to wait for Cyber Monday, or whichever day that lands on. @goggles789 Agreed about your first comment. @Giygas_95 It will be 35 dollars at Walmart and Best Buy during Black Friday. @baller98 Thank you for the heads up, but I'm looking for the digital version specifically. I don't want to have to fool around with toys. Buried lede: they’re bringing back that useless and overpriced wheel peripheral. I thought everyone declared war on plastic to save the sea turtles. It’s 2018! 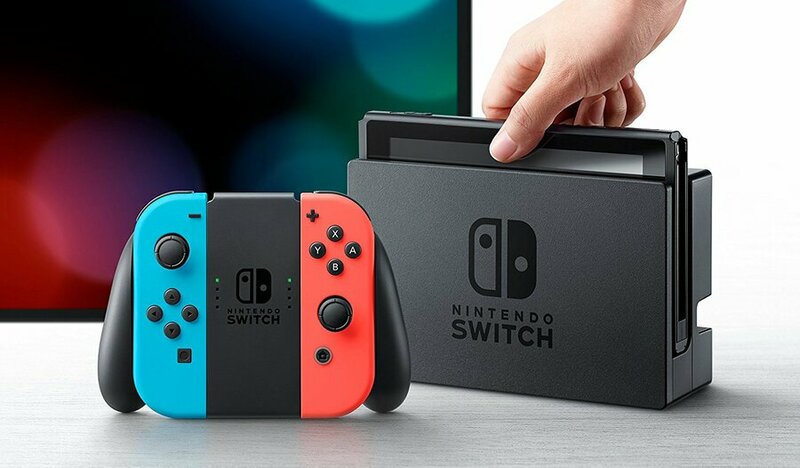 If you a buy Nintendo Switch from www.wetakeyourmoneyandrun.com, you can get one for just $150.